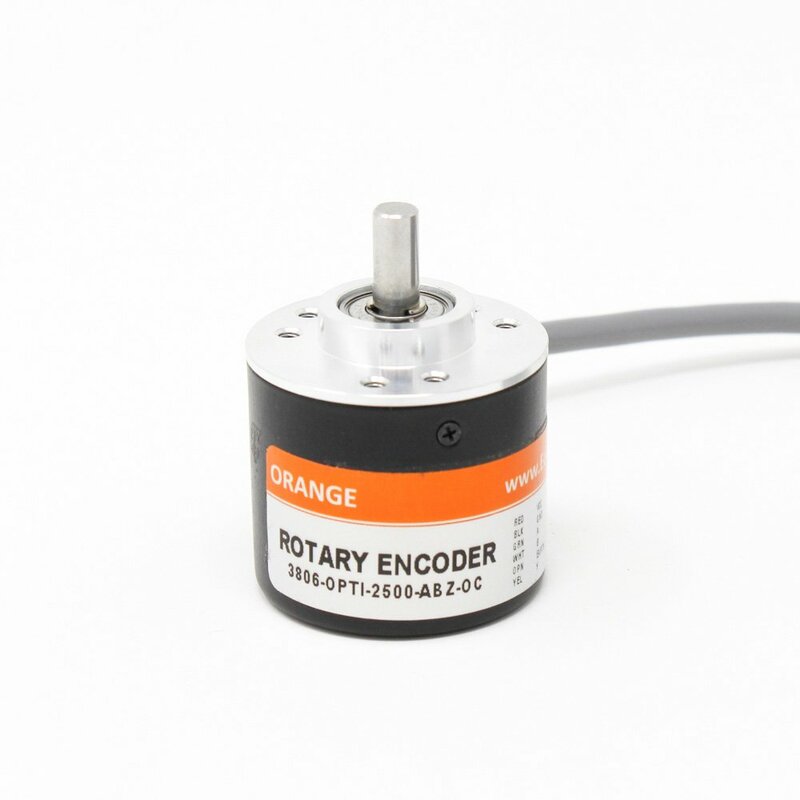 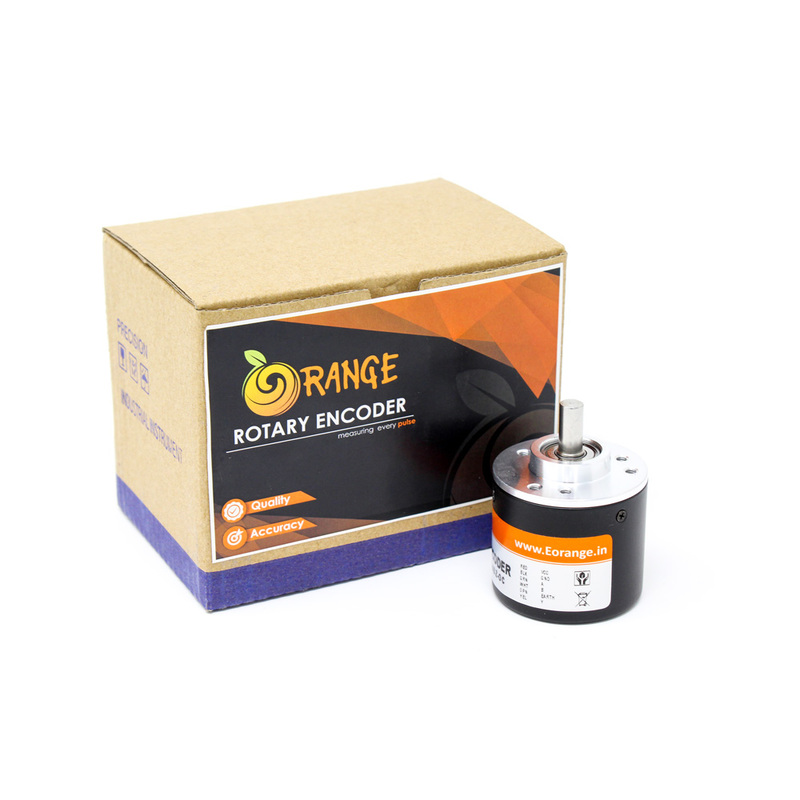 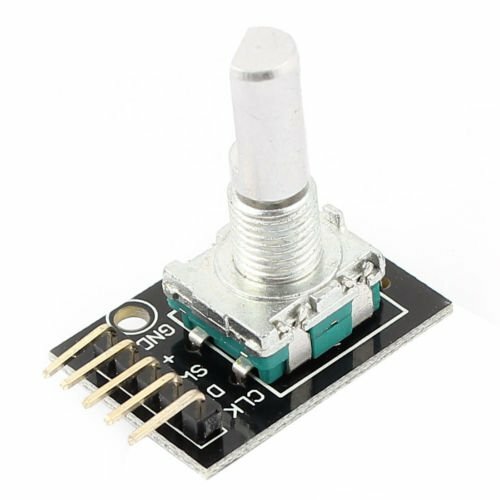 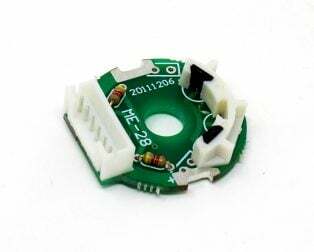 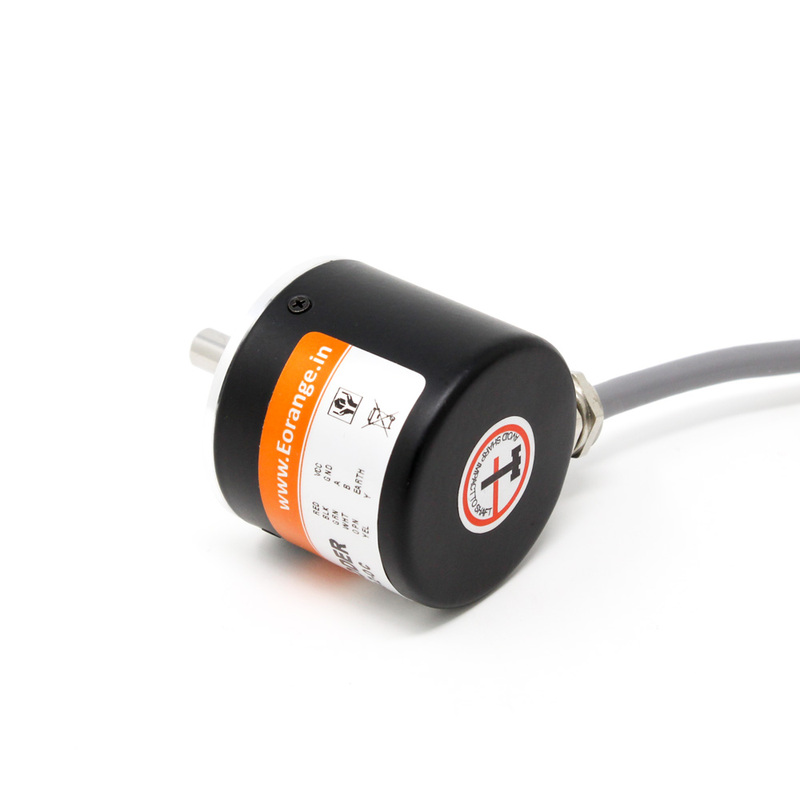 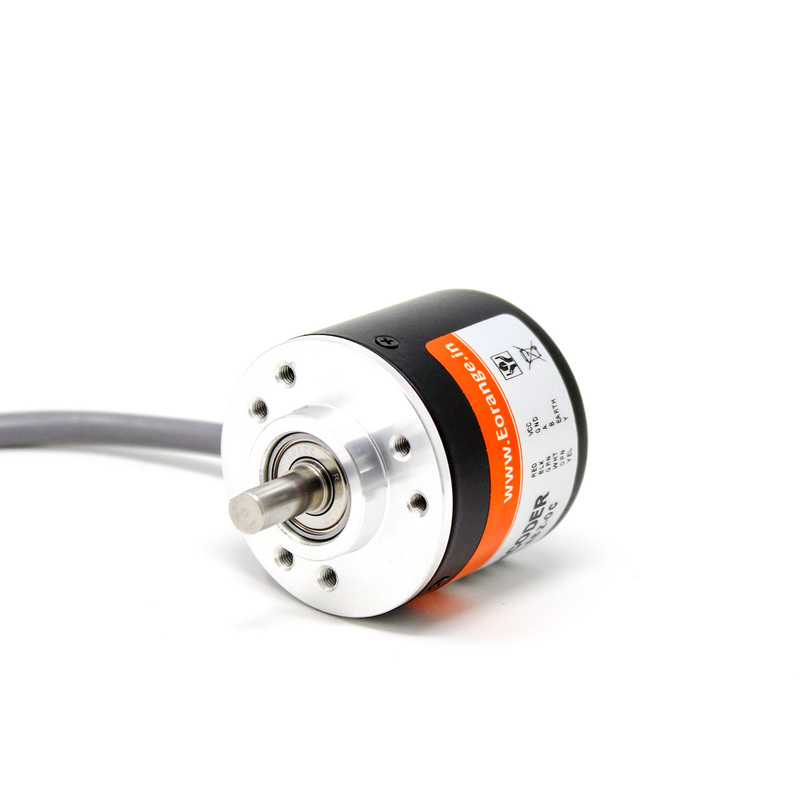 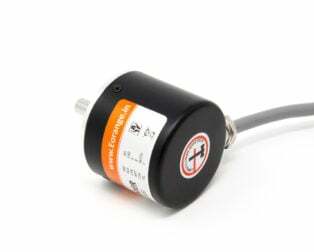 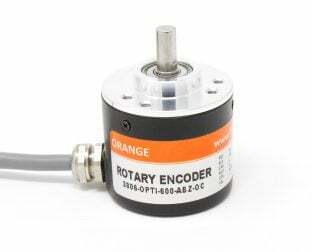 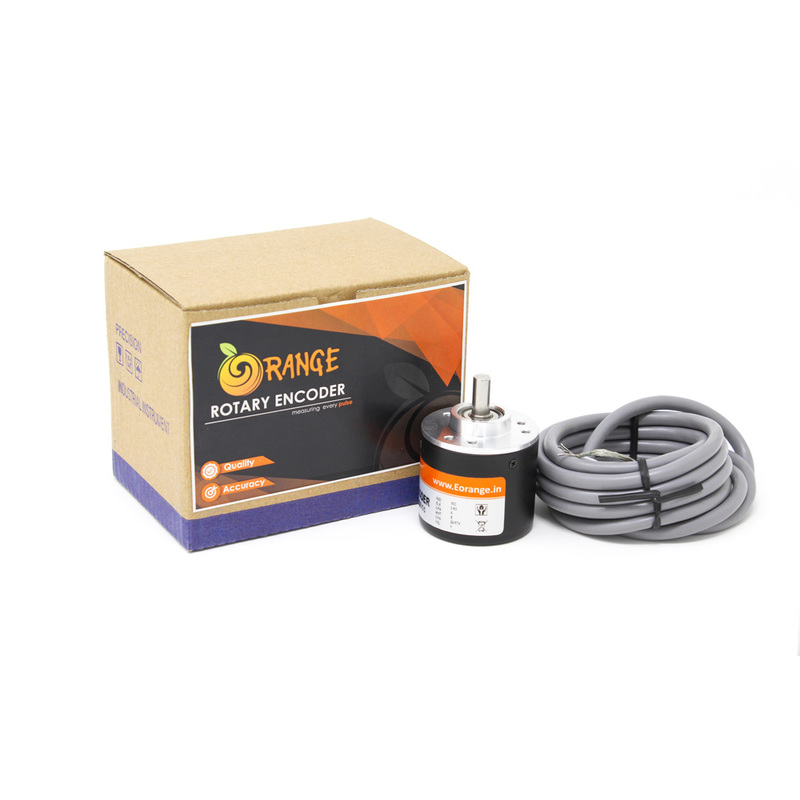 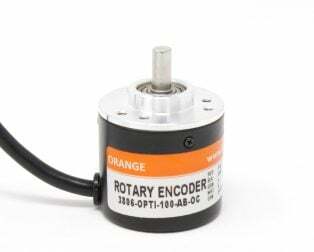 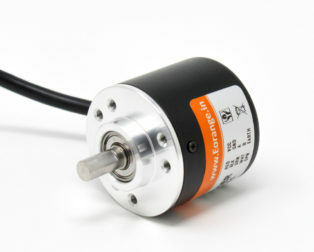 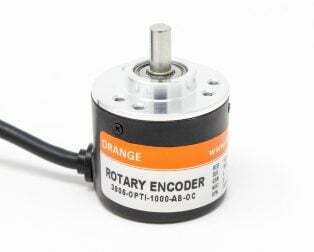 Orange 2500 PPR Incremental Optical Rotary Encoder is hi-resolution optical encoder with quadrature outputs for increment counting. 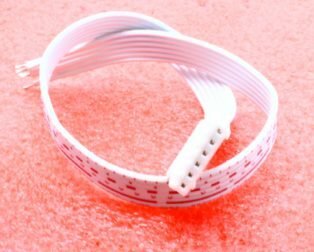 It will give 10000 transitions per rotation between outputs A and B. whereas Z phase will produce one transition per rotation. 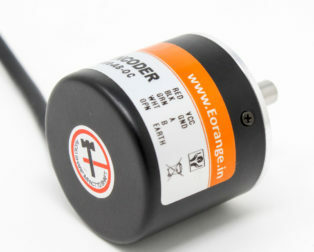 A quadrature decoder is required to convert the pulses to an up count. 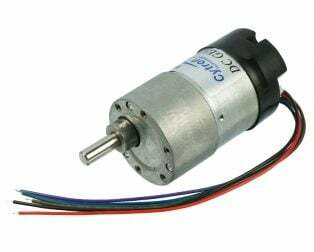 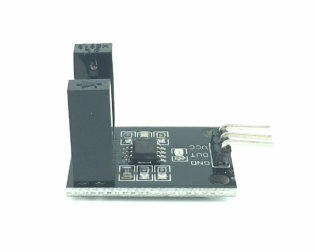 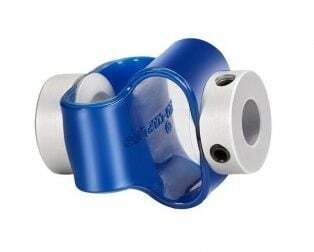 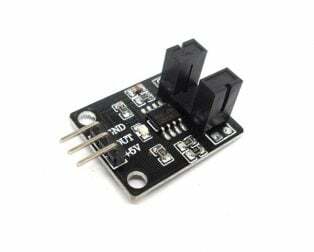 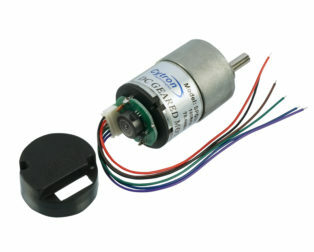 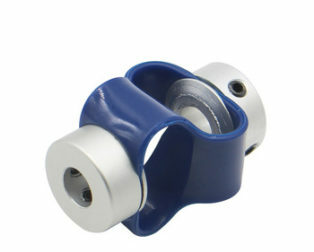 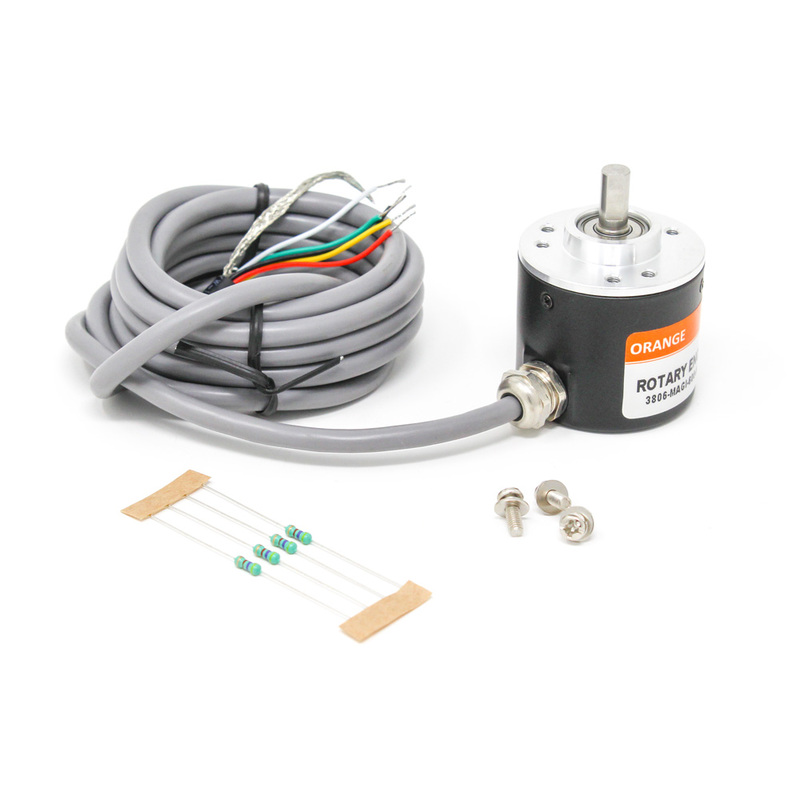 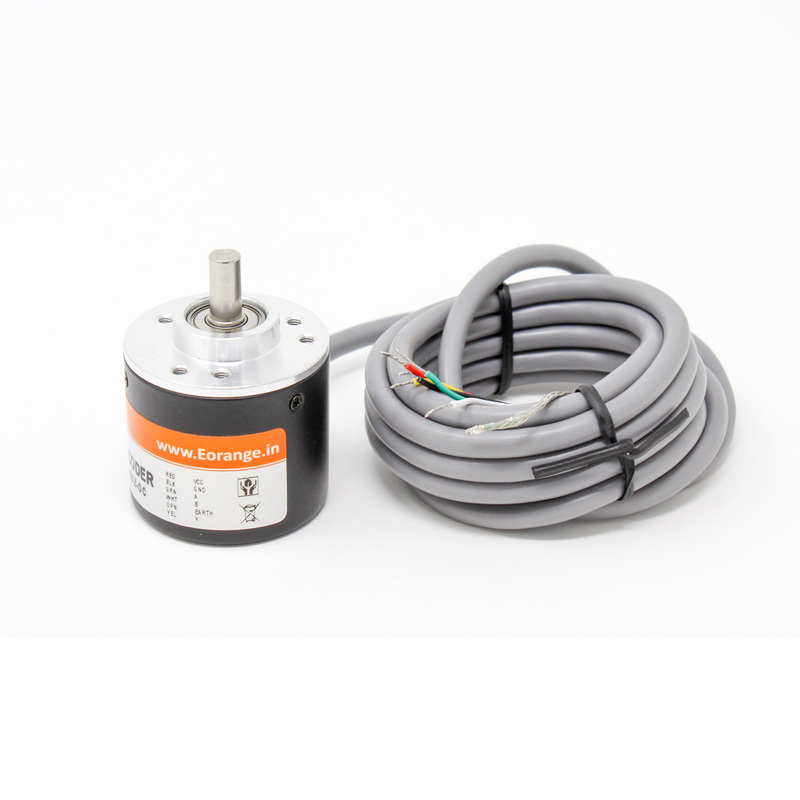 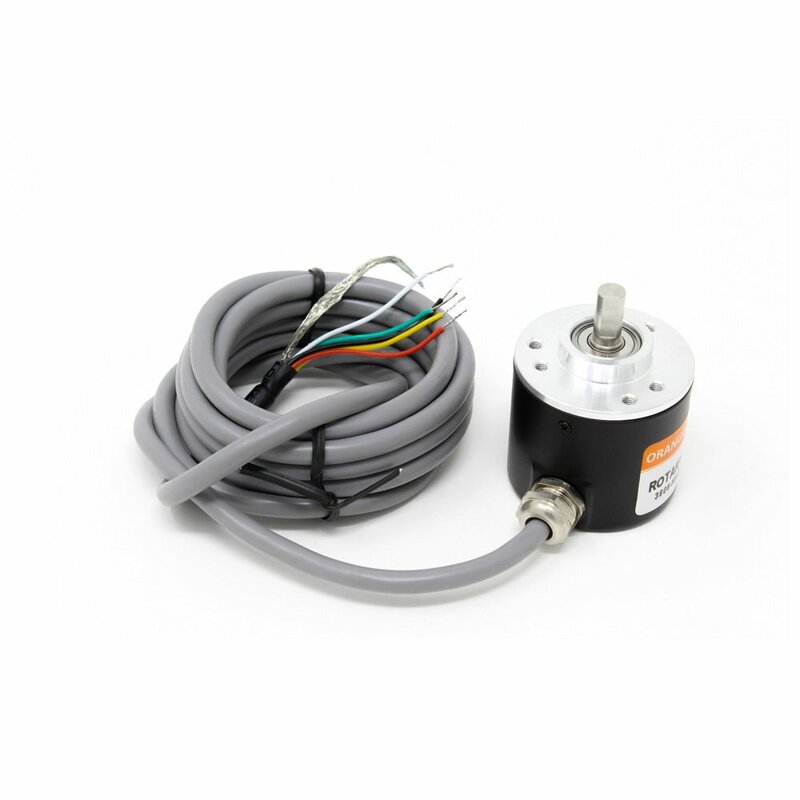 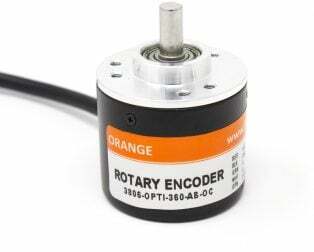 The Encoder is build to Industrial grade. 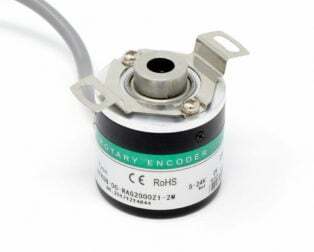 Also adding pull up resistor to all phase output line protects the open collector output-triode from damage due to direct Vcc supply short circuit. 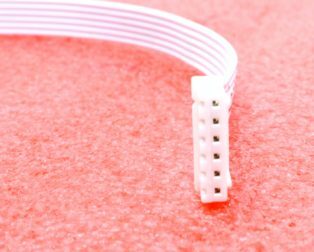 Shielding is important. 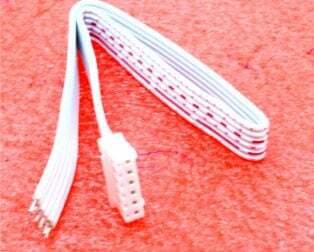 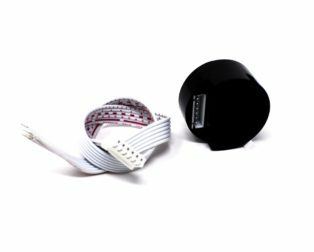 At a minimum, the cable should be protected either by a foil jacket with a drain wire or by a braided-wire shield that is grounded. 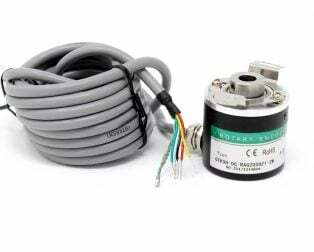 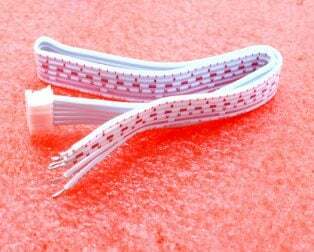 For very sensitive applications or high-EMI environments, foil jacketed wires in combination with an overall braided-wire shield around the cable should be used to avoid the interference and precise encoder output.